No trip to Paris shall ever be complete without trying some (or all!) 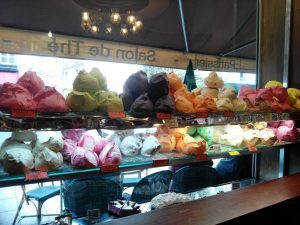 of the top 10 desserts to eat in Paris! When in Paris, not devouring the conventional crêpe is similar to committing a unjustifiable, indefensible sin. Crêpes unquestionably take the first position in Top 10 Desserts To Eat In Paris. Very delicious, soft, and mouth-watering. The word comes from French éclair ‘flash of lightning’, so named because it is devoured swiftly (in a flash). Go fetch your spoon! You’re in for a real treat. Everyone needs a crème brûlée in their lives. Break the caramelized sugar crust and dig into the smooth custard-like vanilla filling. So many flavors of crème brûlée exist why not try more than one? Perhaps the most coveted, best-selling cookie in Paris. The macaron is round in shape and available in variety of flavors: almond, salted caramel, honey, rose, lemon, chocolate. These colorful bunch are famous sweets and are made primarily of almond flour, sugar, and egg whites. A traditional cake in a shell shape which originates from the Lorraine region. These tend to dissolve in your mouth. Can there be a love more sweet, pure, and soft than a piece of Madeleine? Never. Hence, one of the Top 10 Desserts To Eat In Paris. Savor a dessert with Rum in it. Dessert + Liquor = Double Blessing. Your taste buds will thank you and you can thank us. Sprinkled with pearl sugar, these come with a filling of mousse or custard, dipped in chocolate. If eating this wouldn’t solve all the problems of your life, then nothing else will. Quintessentially French. Used in French weddings – nowadays, served with macrons. Choux à la crème undoubtedly rounds out our list of Top 10 Desserts To Eat In Paris. Top Spots in Paris to Satisfy a Sweet Tooth. ParisbyM believes, ‘Life is short. Eat dessert first’, is the maxim to solemnly pledge by. Hence, we have complied other must-try desserts not to be missed- when in Paris. Who would’ve thought beating and whisking the egg whites can give the world a tasty treat. 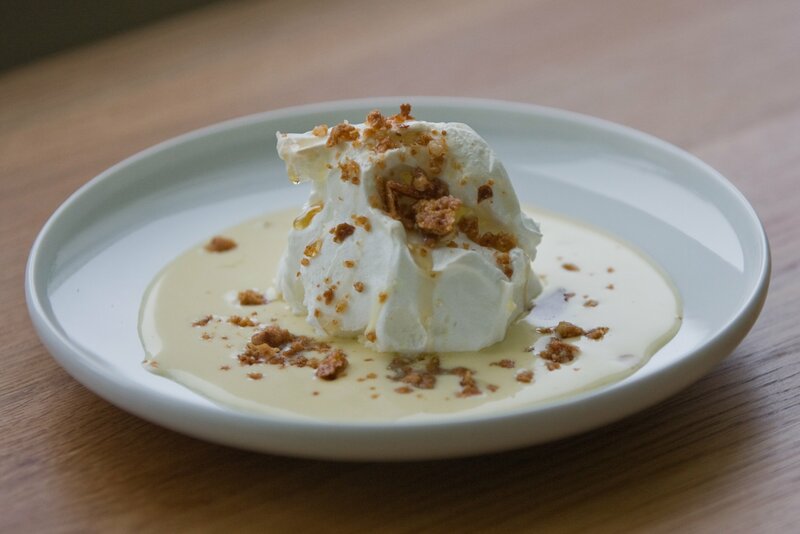 A Meringue a day keeps the blues away. 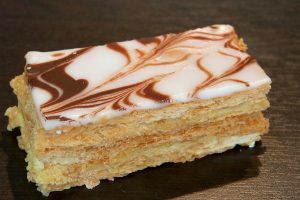 This classic french pastry, also called ‘Napoleon’, is light, flaky and airy, but also heavy with cream and jam between the layers. Literally the name translates into ‘a thousand leaves’. 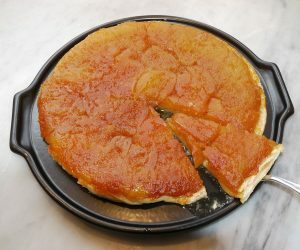 Tarte Tatin is like no other apple pie in the whole wide world. Traditionally the filling of apples is caramelized in butter and sugar until brown. It is in fact an upside-down pastry. Hopefully this is enough to satiate the sweet-tooth in you. Visually appealing with an extra knock of raspberry flavor. Yummy goes straight into your tummy! Paris–Brest–Paris is a cycling event like Tour De France. 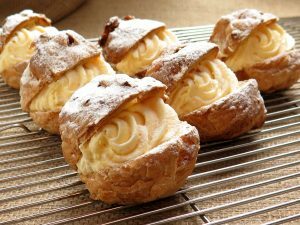 To keep the memory alive of the event, in 1910, the pastry was named ‘Paris Brest’ to acknowledge the mark of the event. A sweet treat which is definitely a must-eat in Paris. Want to see more Parisian food? Check out our Pinterest board! Paris is exciting enough on any day of the week, but the city holds an especially quaint charm on a calm Sunday afternoon. Here are our favorite ways to make the most of your Sunday fun-day in Paris. While many shops will often close their doors for business, you will never find yourself without something to do. Below you will discover what our favorite things to do are when the city of lights and romance slows down at the end of the week. 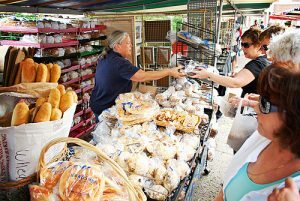 Photo Credit: Kurman Communications Inc.
Paris is teaming with street markets, most of which are open several days out of the week, including Sundays! Here you can find, depending on the market, anything from fresh fruits and vegetables, clothing, antiques, art and much more. Take a late morning stroll gazing at all the colorful market stalls on the Rue Mouffetard, or maybe, sit down after a long morning of shopping for fresh fruits and vegetables on the Marche Edgar Quinet, and enjoy a delicious crêpe with some friends. The possibilities are truly endless. For more information on Paris’s many market places… click here! Paris, a city as old as the artwork it houses, is teaming with a plethora of cultural treasures. 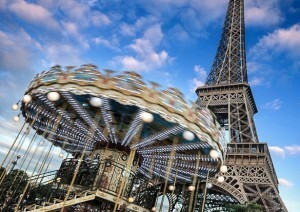 Naturally, this is a great way to spend your Sunday Fun-Day in Paris. Check them out at one of Paris’s many museums. Entrance is often free on the first Sunday of each month during the winter time, making it a perfect day to immerse yourself in some of France’s most popular attractions. But arrive early… lines can be long. 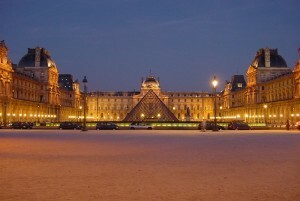 The Louvre is, of course, Paris’s most famous museum, and for a good reason! Even if you are caught in line… the outside of the Louvre is a wonder to behold in and of itself. One could easily spend hours and hours exploring its vast collection. Check out the Winged Victory of Samothrace or catch a glimpse of Da Vinci’s masterpiece, the Mona Lisa. Make sure you don’t limit yourself to just the Louvre; the Musée d’Orsay and Centre Pompidou are just two more of Paris’s limitless list of fantastic museums! 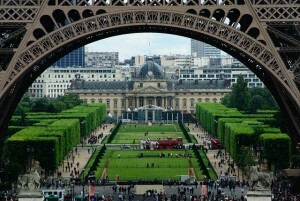 Paris and its many scenic parks will never leave you wanting for more. Of course, no day in the park is complete without a picnic blanket, a baguette, a bottle of wine, and a few of your closest friends. Unwind, after a full day exploring the city, by kicking back in one of Paris’s many idyllic gardens that are open any day of the week, even Sunday! The Champs de Mars, the Jardin du Luxembourg and Jardin des Tuileries are just three of your many options. Does Sunday fun-day in Paris even get better than this? Notre Dame, while not the largest Catholic cathedral in the world, is arguably one of the most beautiful. 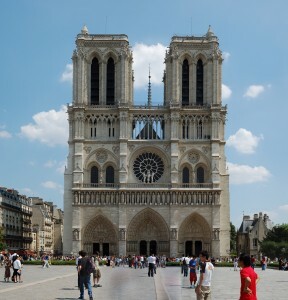 Nestled in the heart of the Île de la Cité, alongside the banks of the river Seine, Notre Dame has been attracting spectators for a very long time, and there is no expectation of this changing any time soon. This famous French cathedral holds services every day of the week. But the Sunday service is particularly special. Services start, in accordance with old biblical practices, the Saturday night before and continue on throughout the following day. Catholic or not, the magnificence of Notre Dame is not to be missed! Need We Say More? 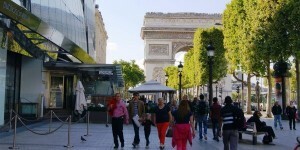 There is no street more iconic in Paris, perhaps even in all of France, than the Champs-Élysées. With shops open every single day of the week as of only recently, this is the perfect place to spend a Sunday afternoon. You’ll even have an amazing view of the Arc de Triomph! Treat yourself and splurge on a chic, trendy, new outfit, or indulge yourself and buy the latest stiletto by Vuitton. After all, when’s the next time you will be in Paris? Why not splurge and go all out!?  At least this one time. When you get back home, all of your friends and family members will be jealous of your stylish new wardrobe. 6. Stroll Alongside The Seine River On The Berges de Seine! For a lively, exciting atmosphere, head on over to the Berges de Seine, located on the left bank of Paris’s 7th district! Here you will find five floating gardens, play grounds, public exhibitions and several cafés to be enjoyed. You can even do like the French and ride your bike or roller blade here! This exciting, relatively new addition to Paris, will not slow down on Sunday’s ensuring that you will leave this picturesque city with many exciting stories to tell. So kick back, relax with a glass of wine and take in the sights, sounds and smells of Paris on the Berges de Seine… It won’t disappoint. Paris is truly an ancient and magnificent city. The city is dripping with culture and jaw-dropping sights. No matter the day of the week, sometimes the best thing to do here is just pick a direction and walk. You never know what you might stumble upon. One could easily spend a week here in our beautiful city and still you would only have scratched the surface. Sometimes the best way to spend your time in Paris is to just go with the flow and allow the city’s charms to do the rest. Who knows what will happen? In a city as vast, alive, and beautiful as this one… anything is possible!